1. Are you having trouble with your Inventory? 2. Are you having trouble with too much queuing of customers? 3. Is your premise too much cluttered that you don’t know some locations of your products? 4. Are your Pharmacy Aides having trouble identifying some of your products? 5. Are you in a guessing game on what products to buy, how many, and when? 6. Are you having problems with products which instantly went expired? 7. Are your management reports too mixed up and confusing? 8. You want to monitor more on your business analysis but don’t have any idea how? We’re offering a POS system software, but it’s strictly for those who are ready to move forward, innovative and motivated drugstores. Pharmacy Intelligent Management System (PIMS) computer software is a locally developed point-of-sales (cashiering) solution, ideal for retail stores specifically pharmacies, integrated to use a barcoding technology for easier data entries. 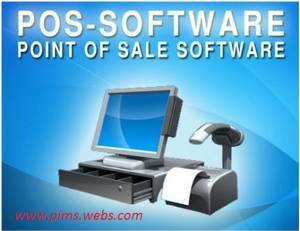 PIMS was developed by Software Developers with extensive knowledge of Drugstore Trading Business. You might be saying now that… “I’m not interested”, “I just bought one”, “I don’t have time right now,” or “It is a bit expensive.” Well, the truth is… We understand how you feel. A lot of our present customers felt the same way too. But when they found out how helpful and how much time they saved by using PIMS, they were amazed. Would you like our help? Own it now, start implementing, and be surprised. We are here to HELP you improve and grow your business. Thank you for taking this opportunity and looking forward to a good partnership with you in the very near future.